ZO Skin Health Products have been created by one of the world’s leading dermatologists, Dr Zein Obagi and Vita Dental Spa is very proud to be offering these to the community of Monifieth, Broughty Ferry and the surrounding area of Dundee and Angus. Zo Skin Health products target skin conditions including acne, rosacea, sun damage, hyperpigmentation and anti-ageing. 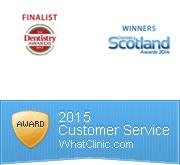 Patricia Barry Murphy of Vita Dental Spa in Monifieth has undertaken significant training in these products to offer her clients the best advice and skin care for their specific needs. Patricia Barry Murphy also carries out Facial Aesthetic treatments including Botulinum toxins, Chemical Peels, Dermal Fillers including non-surgical Rhinoplasty, Tear Trough and Cheeks and Chin Augmentation. We also have exciting news on our new PDO Thread Lifting treatment to soon!